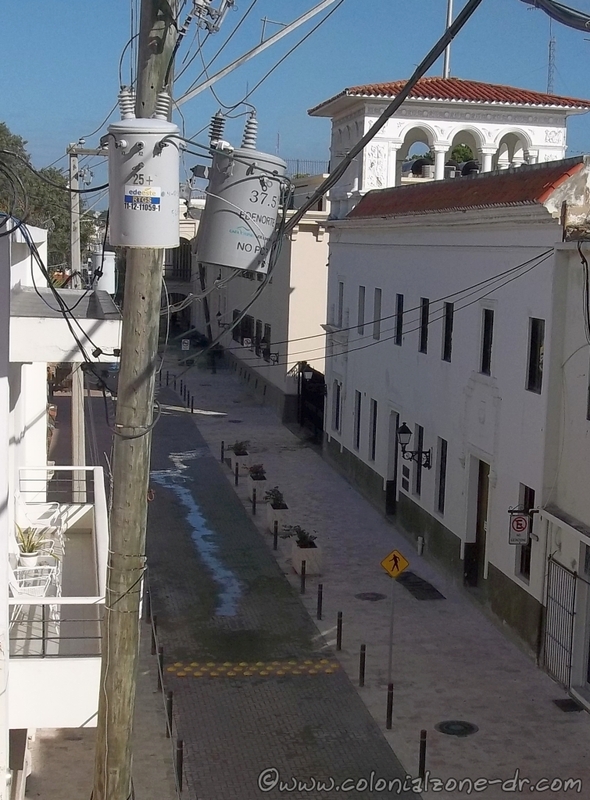 The work continues on the Tu Nueva Ciudad Colonial remodeling project in the Colonial Zone. A few of the roads are still dug up but for the most part they are putting the finishing touches on the streets. One of my favorite things is what i have been asking for for many many years Speed Bumps or what they call here in Dominican Republic Policía Acostado (Police Laying Down). My opinion, this will do so much for improving the traffic flow in these streets filled with visitors, both tourists and Dominicans, to the Colonial City. 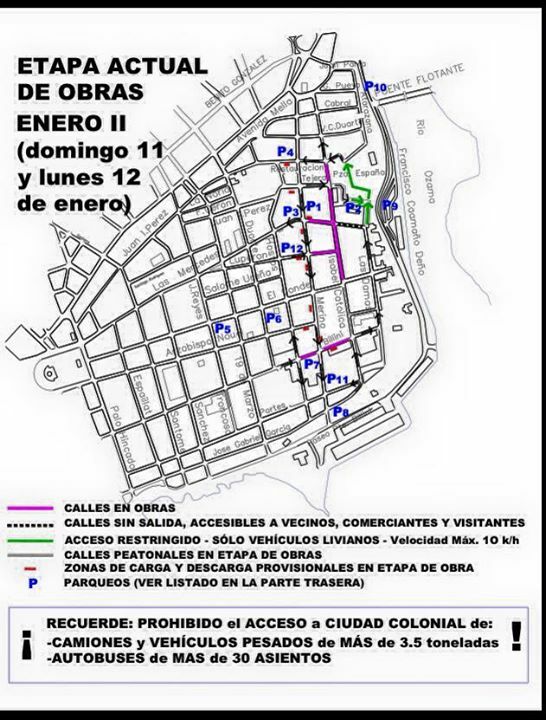 The newest detours map of the “Etapa Actual de Obras Enero II”. Some of the streets are closed for a day or 2 while they install the new speed bumps but for the most part this map is correct for now. News - Editorial calles en obras, colonial zone, policia acostado, remodeling colonial zone, Renovada Ciudad Colonial, speed bump, Tu Nueva Ciudad Colonial. permalink.